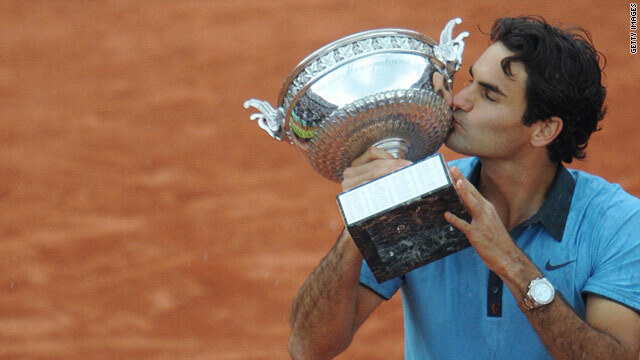 Roger Federer won his first French Open title at Roland Garros in 2009. (CNN) -- World number one Roger Federer has expressed concern over plans to move the French Open from Roland Garros to the suburbs of Paris. Officals are looking into the possibility of shifting the clay court grand slam to one of three possible sites outside the city if they are unable to agree plans to expand Roland Garros. "Let's think twice before we act," Federer told reporters after progressing to the second round of the tournament. "If we move elsewhere, does it make sense? There is a lot of money at stake." The French Open has been played at Roland Garros since the tournament began in 1928. But officials are looking for a new site with better access for cars and more room for spectators to move around outside the courts. "What about the soul of Roland Garros?" asked Federer. "This is what we might miss after."